If we embrace the robots that humanity is on the brink of creating, the issue will be whether these machines and people can coexist in solidarity, within a world of unprecedented wealth. Far more machines than people were working as John Winzeler showed me around the clean, quiet Chicago factory of Winzeler Gear, the 75-year-old family-owned firm that makes plastic gears for the global automobile industry. Only four of the 43 machines had personal tenders; the others moved the small gears through the stages of fabrication day and night, with little human intervention. Big factories have employed such robots for the past 50 years, but few small companies have pushed robotics as far as Winzeler Gear, which will soon be adding a cutting-edge “collaborative” robot to its workforce—a flexible robot that is easily programmable for different tasks. Despite stiff competition from factories in low-wage countries, Winzeler Gear has thrived in Chicago thanks to its robots. In 1985, the factory employed 60 people and produced 2 million gears a month. Now, with 43 robots, 35 fulltime human workers and 15 part-timers, it turns out up to 15 million gears a month (average price: one nickel). Winzeler hopes robots will ultimately replace all flesh-and-blood production workers, leaving just the higher-skilled, better-paid technical and administrative staff, and making it possible for his company to remain a globally competitive manufacturer. Robots can be good—and bad. They fuel both fantasies and fears. Recently, they’ve sparked an abundance of both. Engineering breakthroughs in robotics, artificial intelligence and machine learning are coming faster than expected. In 2013, two Oxford University researchers, Carl Benedikt Frey and Michael Osborne, estimated that 47 percent of U.S. workers are at risk of replacement by robots or other computer-based technologies. The rapid progress in robot development raises sobering questions: How many jobs—and which ones—will be lost or transformed? What policies should we pursue as we prepare for a robot-dependent world? And what will become of human work if robots do much of what people do now? Much will depend on whether we humans leave robotization to the free market or whether we take deliberate steps to shape our future relationships with robots, work and each other. Robots can easily provoke human panic. To the anxious and precarious workers of today, a “lights out” factory raises the specter of a jobless future. Corporations, well aware of this, happily use the prospect of a robotic future as a threat—just as they use offshoring—to discipline their human workforce and hold down wages. Two years ago, when fast-food workers nationwide began demanding $15 an hour, the Employment Policies Institute—a front group for the restaurant industry—took out a full-page ad in the Wall Street Journal that read, “Why Robots Could Soon Replace Fast Food Workers Demanding a Higher Minimum Wage.” And indeed, robotic hamburger makers and order-takers are currently in development, potentially turning fast-food franchises into high-tech vending machines. Employers have long used technology to undercut the power of workers. In the 1880s, McCormick Harvesting Machine Company, the manufacturer of the McCormick reaper, installed new equipment—even though it did an inferior job at a higher cost—in order to break the powerful iron molders’ union. The gambit worked. Yet, on an economy-wide scale, robots may not be as revolutionary as we think. Last year, a Pew Research Center survey of 1,896 digital experts found them evenly split on whether robots will eliminate more jobs than they will create. Robert Gordon, an economist at Northwestern University, argues that the steam engine, electricity and even indoor plumbing (which freed women from much drudgery) have brought more profound changes to our lives and labor practices than digitization, computers and robots. So far, robots appear to have played a limited role in displacing workers. General Motors installed the first industrial robot, a spot welder, at its New Jersey automobile factory in 1961. By 2000, the number of industrial robots had climbed to 92,900. Yet between 1970 and 2000, U.S. manufacturing employment held steady at around 18 million jobs. Manufacturing only saw a steep decline after the United States agreed to establish permanent normal trade relations with China in 2000. Industrial robot use did accelerate in the new millennium, but Robert Scott of the Economic Policy Institute and Dean Baker of the Center for Economic and Policy Research argue that many more manufacturing jobs were lost to offshoring than to robots. As for the sluggish job growth since the most recent recession, economist Dani Rodrik of the Institute for Advanced Study says it can be attributed not to new technologies, but to lack of demand from households, businesses and government, which chose austerity over stimulus. Counterintuitive though it may seem, the conventional economic view is that labor-saving machinery need not reduce overall employment. That’s because businesses typically use productivity improvements to lower prices and increase sales, which leads to more hiring. At Winzeler’s factory, for example, some machinist job losses have been offset by new sales and support jobs. New technology also requires people to manufacture, repair and (sometimes) operate it. Most economists argue that after a new technology is introduced, employment will bounce back in the long run and perhaps even increase. If this model is correct, the worst we have to fear from robots is an initial period of disruption. However, during this time, some workers will be more vulnerable than others. Frey and Osborne, the Oxford researchers, found that the jobs most endangered by robots were low-skilled and low-paid, precisely the people who already have the most difficulty finding another job. This raises the specter of a burgeoning underclass and the attendant strains on the social fabric. Here is where public policy comes into play, and where we can learn from both history and other countries. Corporate capitalism has always been marked by disruptions, starting with the massive displacements of peasant farmers by commercial agriculture and of craftspeople by mechanization. Workers often resisted. In early- 19th-century England, the Luddites smashed new technology such as the “stocking frame,” a mechanical knitting machine that obviated their skills and lowered their wages. Historian Eric Hobsbawm described the acts as a form of early trade unionism, a kind of “collective bargaining by riot” that did often raise pay. By the 20th century, most industrial unions grudgingly accommodated technological change as long as workers shared in the resulting economic gains. As new tools and methods boosted productivity in the auto industry, for example, prices fell, sales expanded and jobs increased. Auto workers pushed for higher wages, which increased their purchasing power and created more jobs. Other workers followed their lead, further expanding markets for goods, including cars. If we’re on the brink of a period of robotic upheaval, labor organizing will be more crucial than ever. Workers will need unions with the power to negotiate the needs of the displaced. Another aspect of the disruption could be an exacerbation of economic inequality. MIT economist David Autor argues that the advent of computing in the late 1970s helped drive our current stratification. As demand increased for abstract labor (collegeeducated workers using computers) and decreased for manual, routine labor (service workers with few skilled tasks), he says, the pay for different occupations consequently became more polarized, fueling the rise of inequality. But Lawrence Mishel and his Economic Policy Institute colleagues, along with Dean Baker, argue that this model of polarization misses important nuances of contemporary labor markets and ignores the primary driver of inequality: public policy, not robots. 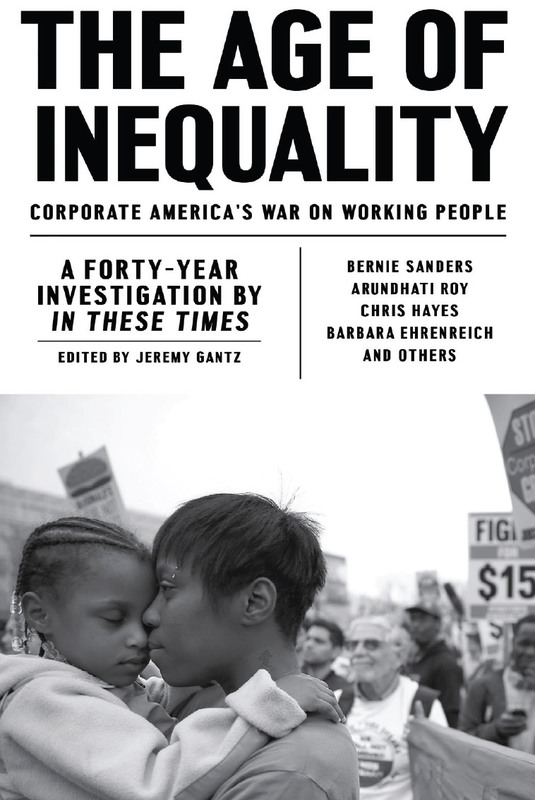 They point to a range of U.S. policies, including encouragement of financial sector growth and suppression of the minimum wage, as contributing to burgeoning inequality. No matter who is right, it’s indisputable that public policy, in addition to unions, can play a powerful role in curbing the ill effects of technological disruption. Luckily, we don’t need to reinvent the wheel. Several European countries already have strong models from which we can learn. The Scandinavian policy of “flexicurity,” for example, has long served as a compromise between capitalists eager to embrace cuttingedge technology and workers seeking economic security. In exchange for workers’ commitment to “flexibility” in accepting workplace innovations, governments help ease workers’ transition through the “security” of strong social welfare policies such as unemployment insurance. Governments also fund retraining programs to prepare workers for new kinds of jobs. To keep ahead of robots, workers will need such training opportunities in order to develop the creative and social intelligence that are unique to humans (at least for now). That requires access to lifelong learning opportunities far beyond most job training. That’s the minimum we must do as we enter the Age of Robots. But if robots were to displace mass amounts of workers, “flexicurity” policies would almost certainly be inadequate. Even if today’s robots have left surprisingly small footprints, we shouldn’t dismiss the possibility that an explosion of next-generation robots could throw the old rules to the wind. The pace of change is speeding up. Frey and Osborne did not put a clock on their prediction of 47 percent job loss, but robot enthusiasts talk of immense shifts in the next few decades. Sales of industrial robots have been growing by about 17 percent a year, and advances in robot development are occurring faster than expected. The Boston Consulting Group predicts that by 2025, purchasing an industrial robot will cost 16 percent less than than hiring a human. Foxconn, the hard-driving Taiwanese contract manufacturer that churns out the iPhone, has placed its bets on an automated future. It announced three years ago that it would install 1 million robots in its Chinese plants. That proved impossible, partly because of snafus with its custom “Foxbot.” Even its scaled-back plans, however, remain ambitious and are a major reason China is projected to be home to the most robots of any country by 2017. Foxconn sees robots as essential to staying competitive as it faces demands for pay increases and worker shortages. What’s more, Foxconn’s robots may convert its public relations problems—a rash of worker suicides and widespread strikes—into mechanical ones. Manufacturing is among the routine tasks—both cognitive and manual— that are obvious targets for robotization. But Frey and Osborne argue that even non-routine jobs like legal writing are vulnerable. For years, analysts have thought that robots would be limited to rule-driven tasks, and humans would reign where problem-solving was needed. Now robots are increasingly adept at what is known as “pattern recognition.” We’re on the cusp of living with robots that see, hear, talk, learn, sort and pick up diverse objects, drive a car or truck, beat experts in trivia contests, do legal research, diagnose patients, perform knee surgery, write news stories, compose original music and give comfort to the aged. As robots spread beyond manufacturing, the job losses could become catastrophic. Take the driverless car. Google is racing to create robotic cars and trucks, and Tesla, Mercedes-Benz and Apple are at its heels. Today, as many as 4 million Americans make their living driving trucks, taxis, buses and other vehicles. A proliferation of robots across many job categories could present those displaced drivers with a difficult job search. If every business is replacing people with robots, and robots are able to manufacture, program and repair other robots, or fill the burger-flipping jobs that dislocated workers might take, employment growth will be unable to offset the losses. The see-saw of job creation and elimination could tip permanently downward. Some of this may come down to how we design our robots. In his new book, Machines of Loving Grace: The Quest for Common Ground Between Humans and Robots, John Markoff, a New York Times science writer, argues that the big question is: Will robots be designed to replace humans (as the development of “artificial intelligence,” or AI, portends) or will they enhance human capabilities (becoming tools of “intelligence augmentation,” or IA)? Google’s driverless car, for example, flows from AI and is intended to supplant the human driver. But its close cousin, the driver assistance package now sold by Tesla, helps people avoid dangerous driving errors and thus falls under the humanfriendly rubric of IA. Should free-market capitalism have its way, much of the world may come to resemble the “lights out” factory of John Winzeler’s dreams, where machines buzz away on their own in dark, cold workshops. Human labor will be pretty much obsolete, other than for sales and design work, and for some limited form of remote oversight and machine maintenance. In this cold future, we will see even greater disparities between the bottom 90 and the top 10 percents. Elites will reap the robot dividend in the wealth created and the technological marvels afforded, from robotic pets to personal aides. But the majority of the population will be left out of the wondrous new world. Ultimately, the impact and the characteristics of robots will be determined as much by the values of the society that develops them as by purely technical achievements. The policies that might head off a robot-induced crisis could also shape the development of the new robotics and improve lives now. These go beyond the strengthening of unions, unemployment leave and lifelong learning necessary to cushion even a short-term robot disruption. If we want robots that help people rather than replace them, the government should also increase investment in robot development toward IA through civilian agencies, not the military. Currently, most such funding comes through the Defense Advanced Research Projects Agency (DARPA). The birthplace of the Internet, DARPA has served as the de facto industrial and research policy agency of the government for decades. Although much DARPA-funded research claims to be “dual use,” military interests predictably dominate. On robot research, DARPA leans towards artificial intelligence. After all, war without warriors is less messy. As we’ve seen with drone warfare, when no American youth are at risk, killing can be out of sight, out of mind and morally adrift. That has also had the insidious effect of advancing AI over IA as military technology is adapted for civilian uses. The case for IA goes beyond preserving jobs. Nobel prize-winning economist Amartya Sen advocates that we redefine “wealth” to mean the fullest realization of each individual. Robots that augment us could expand such wealth. To avoid such antisocial technological development, we will also need to equitably share the benefits of robotization. An important step is to reduce the hours of work without cutting pay. The robot dividend could be paid out through a 30-hour work week, more paid vacations, generous family and medical leave, and earlier retirement eligibility—all tools to effectively spread work more widely. On a more fundamental level, the prospect of a robotics revolution prompts us to rethink the divisions of labor that have held since the Industrial Revolution. These divisions obscure the essential work that falls outside of the market, such as cooking, cleaning and caring for children, the elderly and the infirm. These tasks require the creative and empathetic talents that robots are unlikely to master, but our society has inadequate ways of assigning economic value to much of it. Policies like giving a capital grant to each newborn child or expanding the nonprofit sector could create paying jobs out of such activities. The work now done through nonprofit groups could be expanded, and communities could more fully support the work of artists, musicians, actors and other cultural laborers. Robot enthusiasts like Martin Ford, author of Rise of the Robots, offer a more radical solution: a universal basic income (UBI). By decoupling labor from remuneration entirely, UBI upends our notions of what motivates us and who deserves basic sustenance. If we embrace the robots that humanity is on the brink of creating, the issue will be whether these machines and people can coexist in solidarity, within a world of unprecedented wealth. This robot-assisted world could bring both material well-being and the intangible riches that come from each individual creatively realizing her potential. If we can use robots to reinforce human solidarity, this new world could indeed emerge from the ashes of the old. Love the idea of small business robotics like Rent-alls where robots can be rented at different rates for different jobs! Could revolutionize non-automated business, definitely a better mouse trap! Rather like toy cities, etc. where humans are free to create the tasks to be done - from armies, to housework, to landscaping to farming! Limits to what robots can't do? Haven't found that limit yet! Just begining to employ them. I wasn't wishing to tax a high school kid for having a robot. I was wondering what all the people soon to be replaced by robots and artificial intelligence plan to do for a living. I disagree with the taxing. What if some High school kid made a robot out of spare parts and miscellaneous other thing. Actually the robots aren't coming. Yep. I learned that from Milton Friedman's Newsweek columns where he argued high tax rates never raised more revenue because the corporations and high income people would wastefully hire too many workers to dodge taxes, and that would drive up wages too high for unskilled workers who produced too much stuff that kept prices of goods and services just abover labor costs, and that meant stock prices only increased if the corporation built new factories and did R&D to own more real assets. You are one of the few people I ever met in a comment section who seems to understand that raising income tax rates can cause employers to hire and pay more----in order to avoid the taxes. That is your point, right? Higher tax rates so paying workers more only becomes a tax dodge because the IRS is paying 50% to 90% of wages and benefits, with the higher spending from all the new middle class workers drives gdp growth much faster. And faster depreciation on the labor costs of building factories, machines, wind and solar harvest and storage capital assets, so investment in new capital drives down profits as so much new production eliminates all monopoly created production shortages. The growth and size of an economy is determined by the total labor costs because labor costs are what determines the consumer spending which pays labor costs of production and building capital assets. Ok, how many more Big Macs will the billionaires eat every day when a million burger flippers are replaced by robots and half those workers end up homeless and eating out of dumpsters and at soup kitchens? The top 50% in income families do not spend all their income, but instead save it by buying stocks and bonds, which drives up share prices of companies replacing workers with robots and buying the bonds to fund mergers to create monopolies so job cuts can be made while keeping ptices high. And buying government debt to fund welfare to pay for the profits make from robot production, but to qualify, you must be impoverished and the welfare is only to keep you from sleeping where you bother the rich. The robot owners will be selling goods and services to the top half of people who do not lose their jobs to the robots. That top half of people will likely keep at least 80% of the spending going----maybe more. The "key" here is not to decide to do nothing, as you are suggesting, but to make sure the earnings (and there will be PLENTY) from the mechanization get spread downward. Not to worry, the robot owners will have no income because without workers, there are no wages,and without wages, there is no demand, and without demand to pay for what the robots produce, the robots will produce nothing that costs anything. Can't have wealth without gdp. Can't have gdp without demand. Can't have demand without wage income and labor costs. Are the robots going to be paid wages so they pay taxes and buy cars, houses, clothing, food? If not, either no workers will see pay cuts, or the economy will shrink, unless the owners of the robots buy lots of cars, houses, food, clothing, pay a lot of taxes, and run lavish homeless shelters providing hiuses, cars, and food and clothing for free to the workers they replaced with robots.